Jade's Designer Series of sleek and stylish freestanding faucets will add a contemporary look to your freestanding tub. The integrated hand-held shower adds convenience while in the tub and can also be used when cleaning and maintaining your tub. An installation box is included for an easy install making this UPC approved unit the perfect addition to your bathroom. Add classic details to your bath with this Memoirs Stately bath faucet trim. Featuring a spout and two ergonomic lever handles, this faucet trim brings both comfort and sophistication to your bathroom. Pair this trim with high-flow ceramic disc valves with diverter for optimal performance. True to the classic, elegant style of 1930s Art Deco, Pinstripe faucets embody relaxed luxury. This Pinstripe bath faucet trim features sophisticated etched detailing on the spout and ADA-compliant cross handles. When paired with high-flow ceramic disc valves, this trim offers optimal performance. Victorian 3-Handle Tub Wall Claw Foot Tub Faucet with Hand shower in Chrome Bring a modern style with a nostalgic feel to your claw foot tub. Featuring an elegant wide spout, this faucet will look great in any bathtub. Solid brass construction for durability and reliability and a hand held shower. 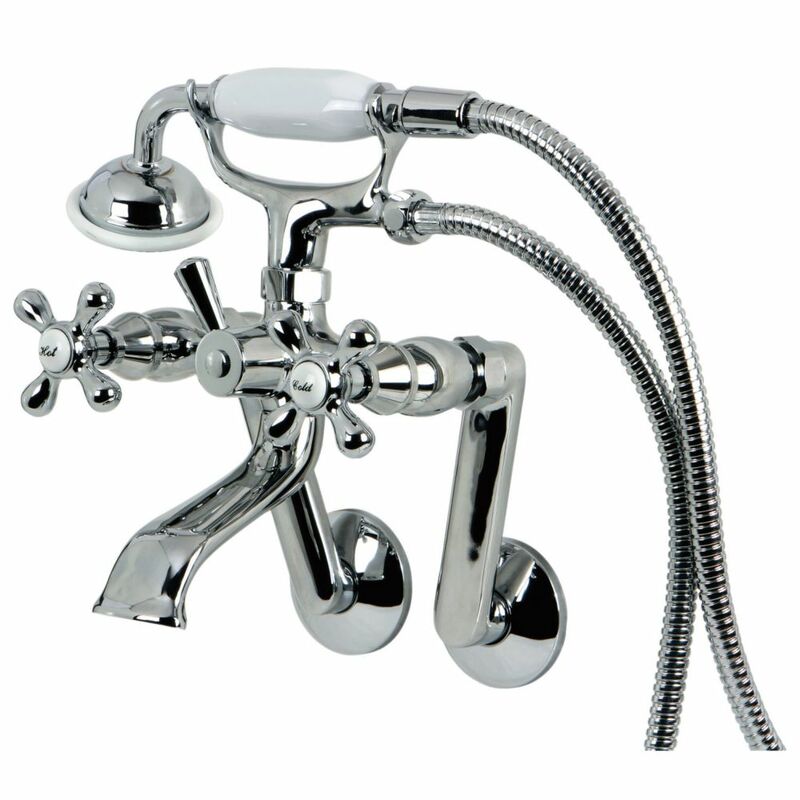 Victorian 3-Handle Tub Wall Claw Foot Tub Faucet with Hand shower in Chrome is rated 4.3 out of 5 by 12. Rated 4 out of 5 by Chimney from The old faucet had unusual spacing and the space between the inlets is adjustable. The old faucet had unusual spacing and the space between the inlets is adjustable.